Musculoskeletal Disorders or MSDs are a range of disorders caused by repetitive strain activities that affect bones, blood vessels, muscles and tendons. A lot of factors actually contribute to Musculoskeletal Disorders with one of the major factors being found in the workplace. The way your workstation is setup could be causing your health issues. Repetitive Motion And Strain Injuries – These injuries are caused by repeating the same strenuous action or movement for long periods of time. They can have either a temporary or permanent effect on your muscles, nerves and tendons. Cumulative Trauma Disorders – These injuries are caused by strenuous posture like prolonged bent wrists, extending your elbows away from your body for long periods and aggressive typing. Occupational Overuse Syndrome – This causes numbness, swelling and pain in the wrists and elbows, stiffness of the neck, arms and back due to being in a strenuous position over long periods of time. Soft tissue disorders – These injuries are incurred in the muscles, joints and tendons, they result in tissue damage and sharp pain on the impacted areas. Studies show that sitting on a chair that offers no back support actually forces your muscular system to support your structure, which leads to your spine being bent out of its natural shape. Majority of workers spend their time on duty at their workstations, on average a regular work day lasts about 9 hours.You can only imagine the effects and damage caused to your muscular system over time. Musculoskeletal Disorders are caused by prolonged awkward posture and lack of body structure support. replacing regular office workstations with Ergonomic office furniture is beneficial in avoiding muscle, nerve and tendon injuries in the workplace. A lot of thought should go into every little detail of selecting your ergonomic office furniture. For instance, the height of your desk, your posture while sitting at your station, the flexibility of movement around your station to ensure minimal strain to your neck, back and shoulders as possible. Because you spend a lot of time sitting, you need to ensure that your sitting posture is not strenuous on your spine and supporting muscles and tendons. Correct posture should include even weight distribution on your hips to relieve unnecessary pressure, bones and joints should be properly aligned and your head and shoulder posture should not be pushed forward to minimise neck pain. Your chair should be height adjustable and offer neck, arms and backrest. Your ergonomic desk should allow for easy movement. Being able to adjust your desk is crucial to minimising strain related discomfort in your arms and shoulders. A well designed desk should offer good support and comfort. Make sure to keep frequently used items within arms reach and adjust your desk to your prefered comfort. A new trend is also seen in adjustable standing desks to reduce effects sitting for long periods of time can have on the muscular system. 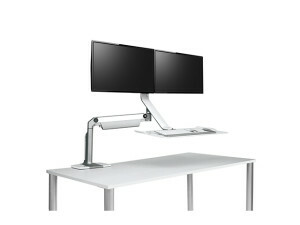 Screen monitors should also be adjustable to ensure a horizontal line of sight and accommodate prefered view/ eye range which contributes to less tension of the neck and back muscles. Reasons To Invest in Ergonomic Furniture. Ergonomic furniture is an incredible investment in a healthy and happy workplace which will guarantee more productivity and efficiency, increased focus and less fatigue in your staff, less work injuries and overall time taken off of work. The most important benefit is a successful team that provides good quality results for your business. This will also boost employee morale and have a positive impact on your company culture. Communicating to your employees that the company is concerned with their health and invested in their safety and wellbeing. Health risks in the workplace should not be ignored. The health risks in an office that still uses regular furniture are evident, investing in ergonomic office furniture is not only beneficial to your employees but to your business as a whole.